Hybrid Marine Propulsion Systems – propulsion systems coupling diesel engines with electric drive – have been around only for a few years but the industry is currently growing at a 12% rate y/y and is expected to grow at a 8% CAGR up to 2022, compared with a 3% rate for standard fossil-fueled engines. 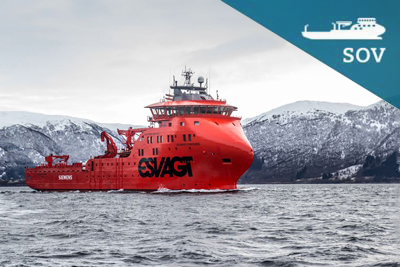 According to DNV GL [a statement of 2014] referring to an actual sea trial: “The battery hybrid installation has been tested in sea trials, which showed that a 15 per cent reduction in fuel consumption, 25 per cent reduction in NOx emissions and 30 per cent reduction in GHG emissions can be realised in practice, especially for [Dynamic Positioning] DP operations. A special field of application for hybrid propulsion systems are SOVs (Service Operation Vessels) – also referred to as OSV (Offshore Service Vessels) – currently subject deep research and product development by market leaders like Siemens (see infographic), Rolls-Royce (see presentation) and certification bodies like DNV GL (see new pilot-projects roll-out). As passionate for innovative low-carbon energy systems and energy-storage systems as we are, we keep following developments and pursuing projects involving testing and assessment of performances on this blog.